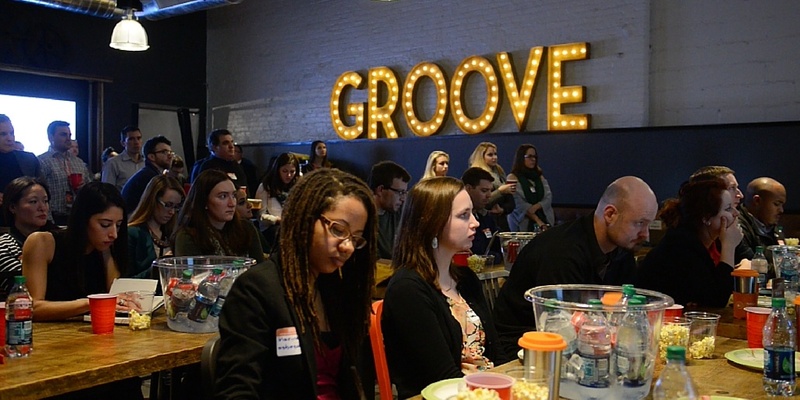 The Baltimore HubSpot User Group (HUG) provides a video showcasing 4 tips for boosting lead generation with video, courtesy of Wistia and HubSpot. How often do you get to leave work early on a Thursday afternoon to drink beer, enjoy a wine tasting, eat pizza, win prizes, and hear an awesome speaker and expert on one of the most relevant topics in marketing? If you are a member of the Baltimore HubSpot User Group (HUG), the answer is 5 times a year. Such as this last time on December 8, when forty HUG-gers gathered around speaker Jordan Wellin from Wistia – video hosting partners with HubSpot - and gained some super practical video knowledge to apply to their video marketing campaigns and boost lead generation. And since it was an event all about video…it was only natural that we do a video recap. The Baltimore HUG meets five times a year. To ensure you don't miss out on 2017 events, become a HUG member!